Christian, Skeptical, & Secularist beliefs. Thus, all of the Patriarchs and ordinary Israelites in the Hebrew Scriptures, the Apostles, the Christians who have died over the past 2 millennial, and in fact every human who has ever died, are currently held in a state of unconsciousness. Others believe that the soul separates from the body and is taken to a type of holding place - referred to as Sheol in the Hebrew Scriptures (Old Testament) and Hades in the Christian Scriptures (New Testament). At the time of Jesus' second coming, they will be reunited with their reconstituted bodies and judged. Many will have been there for thousands of years before they are resurrected. Others believe, in practice, in some form of immediate judgment and the transfer of their soul to Heaven or Hell immediately after death. Christians often talk about their loved ones who have recently died as if they are already with God. Daniel 12:2: "And many of them that sleep in the dust of the earth shall awake, some to everlasting life, and some to shame and everlasting contempt." John 3:12-13: "If I have told you earthly things, and ye believe not, how shall ye believe, if I tell you of heavenly things? And no man hath ascended up to heaven..."
John 5:28-29: "...for the hour is coming, in the which all that are in the graves shall hear his voice, And shall come forth; they that have done good, unto the resurrection of life; and they that have done evil, unto the resurrection of damnation." Acts 2:29-34: "Men and brethren, let me freely speak unto you of the patriarch David, that he is both dead and buried...For David is not ascended into the heavens..."
2 Timothy 4:6-8: "...I have kept the faith. Finally, there is laid up for me the crown of righteousness, which the Lord, the righteous Judge, will give to me on that Day, and not to me only but also to all who have loved His appearing.”"
The apparent presumption of most of the above passages -- and others in the Bible -- is that when a person dies, their soul enters into a form of sleep. The person is only wakened at sometime in the future when they and the rest of the dead are resurrected. During this interval -- which has been thousands of years so far for some deceased people -- they do not experience consciousness. Thus, after their death, their very next conscious moment will be at their resurrection. The Christadelphian movement is a conservative Protestant denomination founded by physician John Thomas (1805-1871). After his death, a schism developed over beliefs about life after death. 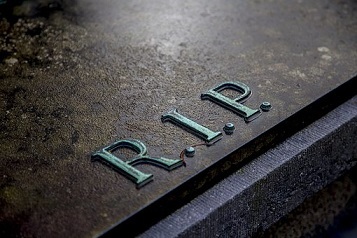 Some followers in the U.S., referred to as the Unamended group, believe that only the deceased who are "in Christ" will be raised from the dead and have eternal life; the vast bulk of humanity will simply remain dead, without conscious existence. Other American followers, and believers elsewhere in the world, called the Amended group, believe that all who who have been exposed to the Gospel will be raised from the dead at the time of the Final Judgment. The righteous among the responsible ones will be judged according to their works, rewarded appropriately, and live forever. Those who have been exposed to the Gospel and judged wicked will be annihilated, and cease to exist. Those who have not been exposed to the Gospel will remain dead, without conscious existence. Progressive Christians generally do not believe in the inerrancy of the Bible. In their religious studies they realize that the beliefs of the ancient Israelites about Sheol were derived from surrounding Middle Eastern Pagan cultures. Later Jewish religious beliefs concerning Heaven and Hell incorporated ideas from Zoroastrianism and Greek Pagan culture. Liberals do not interpret each passage of the Bible literally. Many feel that it contains little detailed, specific information about life after death. Many religious liberals anticipate some form of life after death. Many, perhaps most, reject the concept of Hell as a permanent place of punishment and torture for anyone. Some might accept the belief that some form of correction and purification is needed before a person arrives in heaven. But generally, they do not hold exact beliefs concerning the timing, processes involved, or the nature of heaven. They "find more grace in the search for meaning than in absolute certainty; in the questions than in the answers." 2 They tend to be more concerned about the present life than the future. They believe that if they follow the Golden Rule and lead an ethical, caring life helping others in need, that matters will sort themselves out for them after they die. Many religious skeptics, including some progressive Christians, Atheists, Agnostics, secular Humanists, etc. note that almost every religion teaches specific beliefs about life after death. But religions seem in almost total conflict with each other. The Sadducees, one of about 24 Jewish religious groups, during the 1st century CE taught that there was no resurrection. Some contemporary faith groups talk about a Heaven, but they have very different views on its nature, location, and what criteria are used to qualify to go there. Others talk about a Hell, but differ greatly on the details. Still others talk about the soul being transported after death into a newborn human or other animal. Some people actually die for many seconds, or very few minutes, but return to life quickly. They sometimes report an out-of-body experience in which they are traveling through a tube towards a light and have a profound feeling of peace and acceptance. There have been suggestions that these may be hallucinations that are naturally created by a brain starved of oxygen. One of the members of the OCRT, the agency that sponsors this website, died briefly during an operation to save her life. An ectopic pregnancy had ruptured, and caused a hemorrhage. She felt that she rose through the air and looked down on her body on the operating table. Some people die for a few minutes; their brain is starved of oxygen; they return to life, but have suffered minor irreparable brain damage. Others die for a longer time. Portions of their brain die. They may return to "life" but are largely incapable of intelligent thought. They remain in a vegetated state, perhaps in a coma. Most people who die and are not resuscitated remain dead. From these observations on real people who have died for various periods of time, some skeptics attempt to assemble a picture about the process of dying. One speculation is that when a person dies, they may first go through a very comforting hallucination. A little while later, their brain functions start to seriously degrade. Their ability to think and sense their surroundings declines until they sink into unconsciousness. The electrical processes in the brain discharge; the chemical processes rot. Since there are no other processes active in the brain, the person's memories, personality, talents, life goals, preferences, consciousness, etc. no longer exist. There is no Heaven, Hell, Purgatory, Reincarnation, or Transmigration of the Soul. There is only a state of non-existence, as the human body rots. This is obviously not a belief that most people can accept. One of the reasons why religions have attained power over the thoughts and beliefs of billions of people is that they promise to their members the chance of attaining an enjoyable eternal life. This video has received 4 million views by 2018-FEB-23. What religious groups believe about heaven, hell, purgatory, etc. What does the Bible say about heaven, hell, purgatory, etc? Salvation: beliefs of Christians both now and during the 1st & 2nd centuries CE about who is saved. Copyright © 2001 to 2018 by Ontario Consultants on Religious Tolerance.